The following is a list of Virtual Reality experiences and games Warwick Library currently offers. Allumette tells the story of a young orphan girl who lives in a fantastical city in the clouds. After enduring tragedy, she grasps at hope for her future. Loosely inspired by "The Little Match Girl" by Hans Christian Andersen, Allumette is an account of the love a mother and daughter have for one another, and the sacrifices they make for the greater good. Arcade Saga allows you to take the role of a newly sentient being and battle for survival against A.I. Overlords determined to destroy you and your free-thinking. Through 3 different futuristic sports—Fracture, Smash and Bowshot—you'll harness your reactions and strategic thinking to shoot and dodge viruses, break firewall bricks and spin data-balls past the Overlords and their minions. 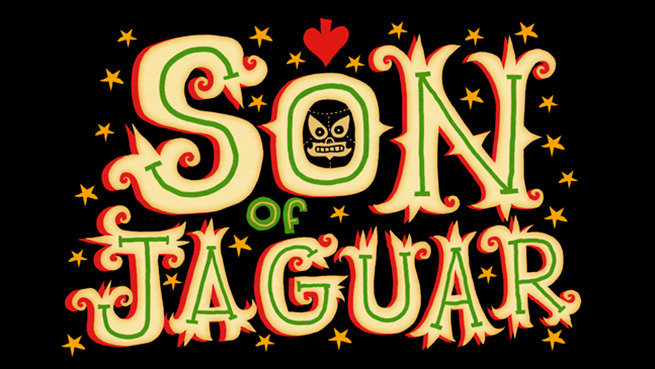 You will need to use your reflexes, wits and changing strategies to survive. Join Peyton Manning in Gatorade's Beat the Blitz, a free-to-play VR experience. You'll test your throwing skills on the field, travel inside the body to see how hydration impacts performance and more. See you on the field. 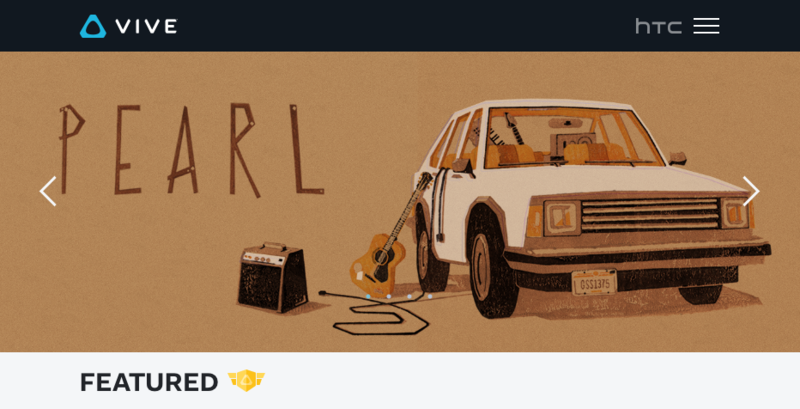 In this immersive virtual reality experience from Stanford University’s Virtual Human Interaction Lab, spend days in the life of someone who can no longer afford a home. Interact with your environment to attempt to save your home and to protect yourself and your belongings as you walk in another’s shoes and face the adversity of living with diminishing resources. Experience the thrill and sensation of 4 unique roller coaster experiences. Feel the wind rush through your virtual hair as you ride some of the most enjoyable and immersive VR coasters on the market. 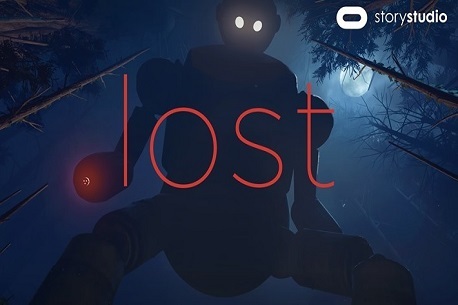 'COLOSSE' is a real-time virtual reality storytelling experience. A hunter crosses paths with a mysterious titan. Exclusive content from your favorite shows – like Shark Week, Deadliest Catch and MythBusters. Heart-pounding adventures with incredible thrills – like mountain biking, surfing and, of course, rollercoasters. Rescue rhinos, swim with elephants and bask in the beauty of majestic tigers. From Samurai sword fights in Japan to dancing in the pubs of Dublin, come with us to explore the globe. Transport yourself into the wonderful world of Disney from your very own living room with Disney Movies VR. 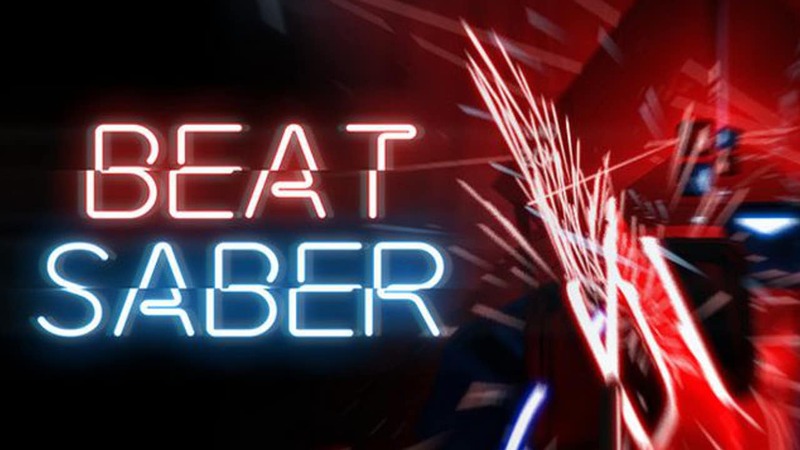 This app is a fully-immersive Disney experience where you can visit themed worlds, including Disney, Marvel, and Lucasfilm, and interact with some of your favorite characters in their natural environments. Discover what happens to our abandoned dreams in "The Dream Collector," a VR film that follows the story of an old man and his dog, who collect broken dreams and try to fix them. Looking for a mini golf experience that'll remind you of the real thing? Look no further!!! Download FREE today! In Epic Roller Coasters you'll get the same feeling of a real roller coaster with a high level graphics, physics-based simulation. You'll go up and down seeing everything around you with our long range vision capabilities! The fastest way to create animated shows. With your HTC Vive, you can produce your own animated shows in real-time, and even stream them live to Facebook, Twitch, or YouTube. Just jump inside the show, press record, and go. Forced to Flee, launched jointly by Contrast VR and Amnesty International was shot in late October 2017 in a camp in Bangladesh that is now home to more than 620,000 Rohingya refugees who fled ethnic cleansing in neighboring Myanmar’s Rakhine State since late August. Home puts you at the center of the story, taking you on an emotional and personal journey while delivering beautiful, heart-stopping, and memorable moments. Fun and simple indoor Virtual Reality rock climbing center for both casual and avid gamers. Precise hands-on movement. Experience the widest array of premium cinematic virtual reality experiences with Jaunt's re-imagined fully immersive app. Jaunt delivers unparalleled and all enveloping VR experiences anytime, anywhere. Mervils is an open world RPG platformer built specifically for third-person VR with over 6-8 hours of gameplay. In Mervils, you are tasked to defeat Balazar the Evil and save the four picturesque Mervil worlds from imminent destruction. 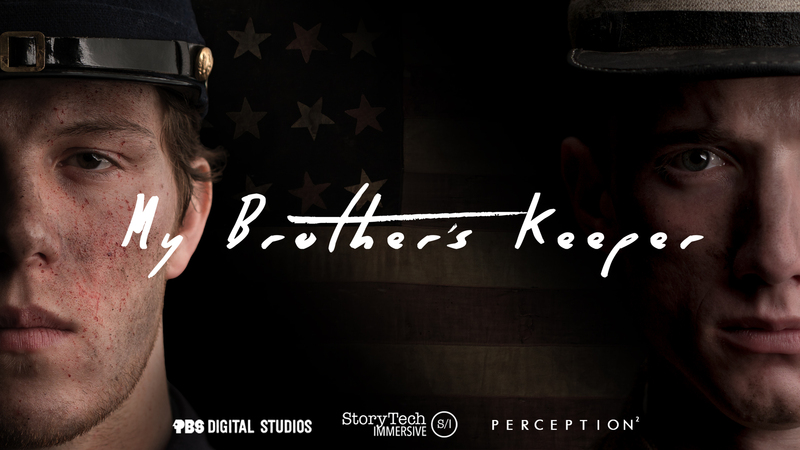 A short meditation on brotherhood and the cost of war, My Brother's Keeper tells the story of two estranged brothers, Ethan and Jackson, who find themselves fighting on opposing sides of the American Civil War. The story follows the brothers as they make their way towards the battle of Antietam, the bloodiest day in American history. From youth to maturity, from the drawings in his mind to the world-changing patents, from success to painful defeat. 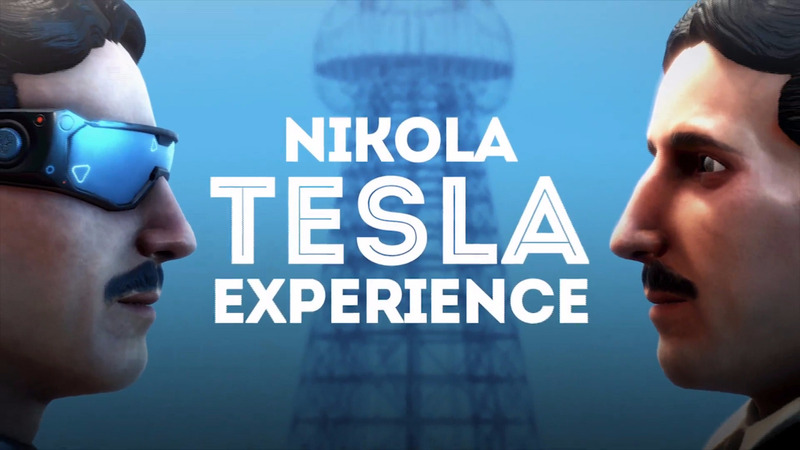 Virtual museum takes visitors to places where Nikola Tesla lived and worked and where they will meet Tesla himself as a narrator of his own stories. Experience the magic of ‘presence’ in VR, exploring moments that feel as real as they are fantastically impossible. We've built a magic box full of toys and a robot guide; make a new friend, then touch, tap, bounce, hold and throw things, and play together. The OASIS beta is inspired by the immersive virtual universe the OASIS from the film Ready Player One, which is set in the year 2045. 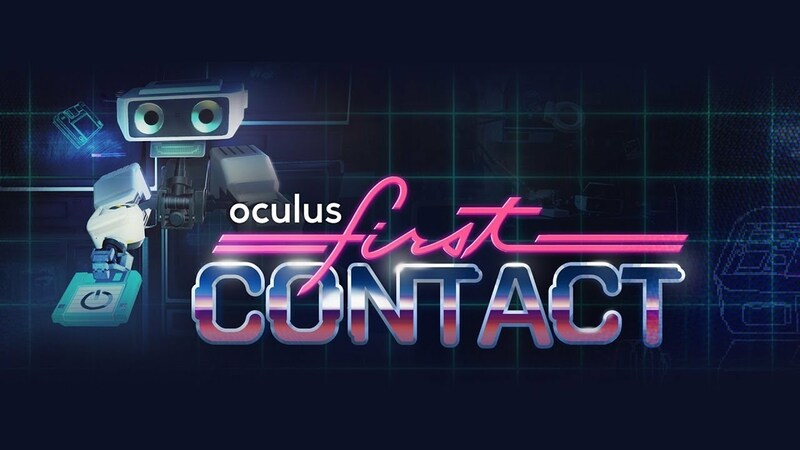 In the Oasis beta’s ever-expanding universe, players are able to explore, compete in, and launch multiple VR experiences using their own custom avatars. Big meets bigger in Project Rampage VR, the official virtual reality game for the movie Rampage starring Dwayne Johnson - in theaters April 20! Using CRISPR technology, create monster mutations in Energyne’s lab and unleash destruction across the world. Boop the floating boxes with your high-tech wands to set the right color and send them flying away into the sky. Relax, take your time and listen to some music, or set a timer and try to beat the clock. Relax, Enjoy & Transcend with Immersive VR Environments Combined with Brainwave Dynamics™ Audio Technology Blending - Binaural Beats Isochronic Tones & Solfeggio Frequencies with specially designed Sound Loops & Smart Ambience. Be careful where you look because someone—or something—doesn't want you here! Otherworld Interactive presents their popular horror franchise that transports the viewer inside a chilling animated haunted house where sisterly ghosts will scare your pants off. Use your Lite tool to build and explore a sonic light landscape. Create, move, throw, and destroy lites to shape a dimensional sound collage in this ambient world. 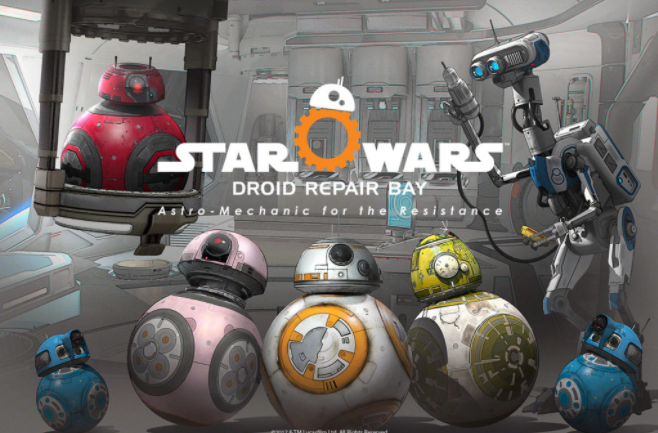 In Star Wars: Droid Repair Bay, Poe Dameron's sidekick needs your help. Repair BB-8 and his astromech droid friends, each with their own unique personalities, so they can roll back into the fight against the First Order. Aboard General Leia’s ship in the depths of space, you’ll need to work quickly before battle breaks loose just outside the droid repair bay. Strap a VIVE to your face. Solve puzzles in outer space. (In that order) Come play with the sands of fun in our outer-space physics sandbox. Sculpt sand in 32 levels to direct the ball into the goal in this physics puzzle game. 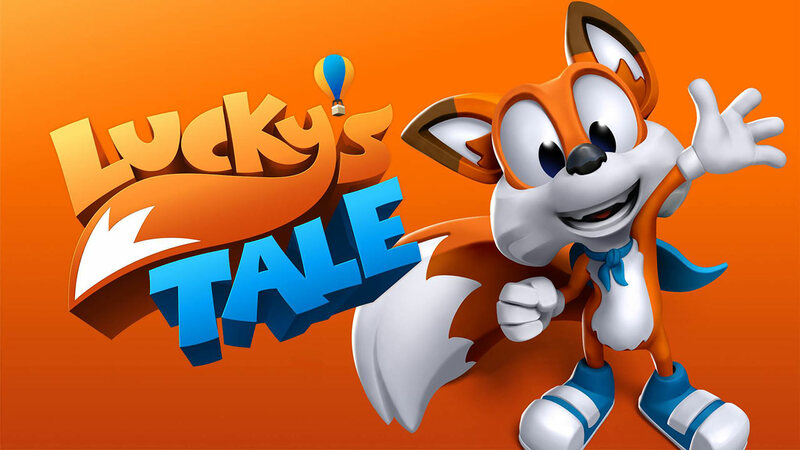 Jump over danger and phase through obstacles using special abilities in the 16 devious challenge levels. Devise ever faster ways to solve levels and rule the leaderboards. Surgeon Simulator VR: Meet the Medic – be the Medic and operate on the Heavy in this free and exclusive teaser for the HTC Vive. Perform a heart transplant and try to save your patient! TimeLock VR is an Escape the Room with Action elements where you take control over the time! Diving to the bottom of the North Atlantic, you take on the role of Dr. Ethan Lynch, Associate Professor of Maritime Archaeology. With funding from a mysterious investor you set out to answer questions that have remained submerged for a century. 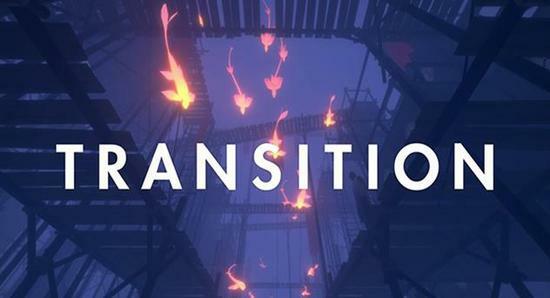 'Transition' is an award winning seated virtual reality experience based on the music of Kettel & Secede - 'Canned Forever', created by Mike von Rotz and Joost Jordens during their final year at the Utrecht University of the Arts. A metaphor for death, Transition takes you on a journey from one world into the next. Visit South Korea, China, Nepal, India and more in this VR 360 video tour! Visit the great cultural sites of major countries! Be a giant MONSTER! Moving around the city in REAL ACTION and DESTROY everything to release your anger! Approach specific destination and knock down the city buildings & vehicles under the pressure of enemies attack in first-monster perspective. Finally, the definitive sports experience in VR. You can now use controllers to play 8 of your favorite sports with the VR! A brand new yet realistic way of playing sports. YOU is a real-time simulation of the human body. YOU allows anyone to freely navigate and explore an anatomically accurate 3D model of the human body, its organs, and their natural function. Visualize how your body works. Explore organs and systems in a fully immersive 3D environment.